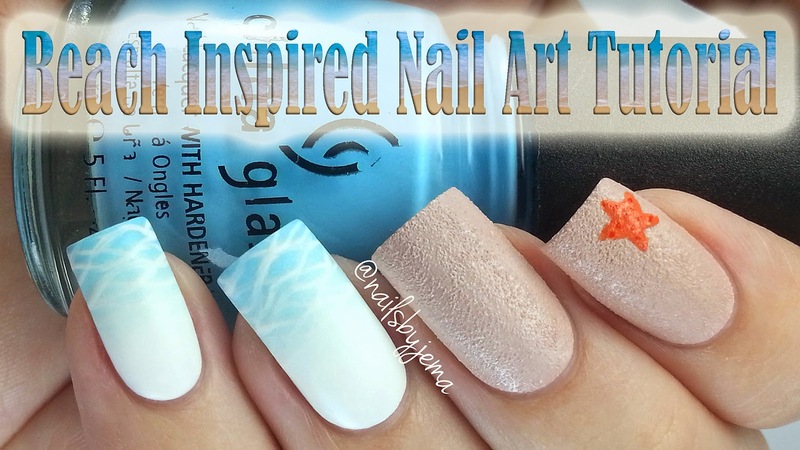 They are really easy to do and the only tools you need are a makeup sponge and a thin nail art brush or striper brush. These were inspired by @chorubim who was originally inspired by @chalkboardnails. The chain of crediting is easy peeps! 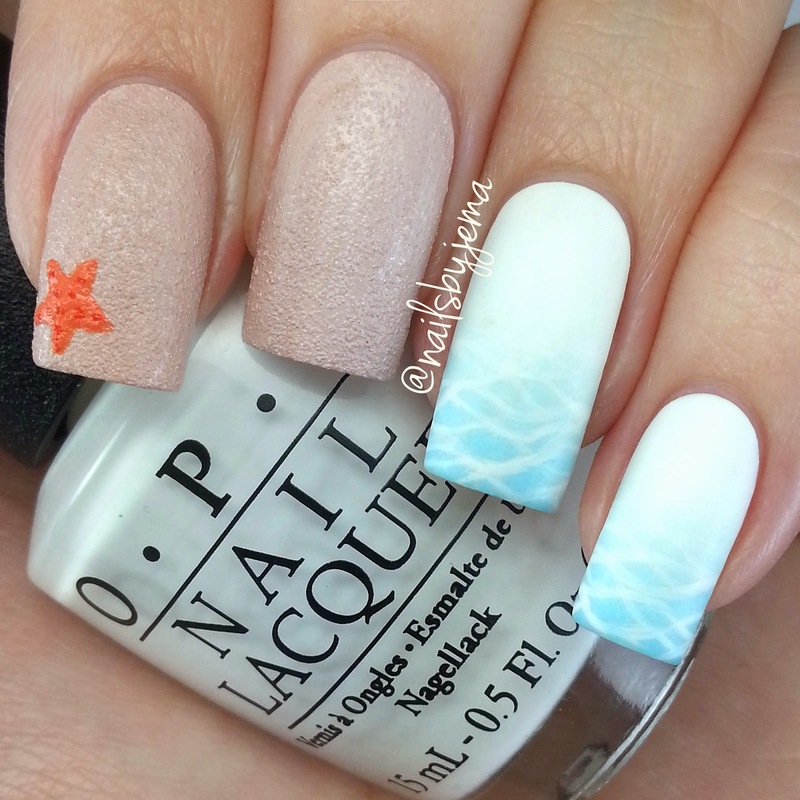 To do the water nails I started with a base of Alpine Snow by OPI and sponged a gradient of China Glaze 'Bahamian Escape', Kleancolor 'Pastel Blue' & OPI 'Alpine Snow' onto it. Then, using a thin nail art brush from eBay and white acrylic paint, I drew some thin wavy lines all over it. I topped it with HK Girl Top Coat to dry it (and so it wouldn't smudge) and then matted it out with Sally Hansen 'Big Matte Top Coat'. This design is also on my thumb. 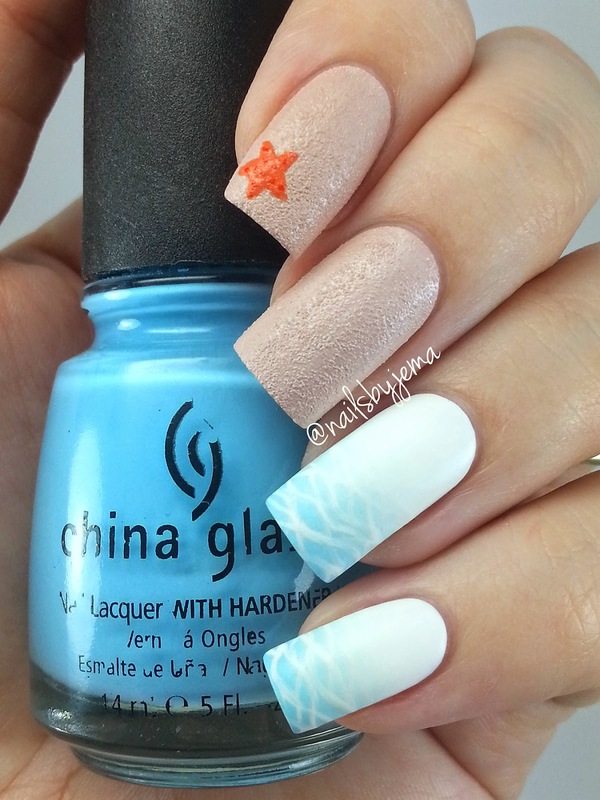 For the textured sand and starfish nail I used Face of Australia 'My Island Home' as a base. I then painted a starfish shape onto one using OPI 'Is Mai Tai Crooked?' and added the dots. No top coat was used as it would ruin the textured finish. All of the details were done with thin nail art brushes from eBay. I also made a full length tutorial for my YouTube channel. Summer was amazing here in Australia but I am SO glad winter is coming! I am so ready for jeans and jackets!